To debate priorities to scale up existing actions on SCP and eco-entrepreneurship, e.g. 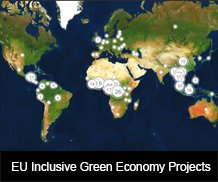 through access to green financing for SMEs. The event is upon invitation only. Outcomes will be published on the website shortly after the meeting.